Putting nature on TV is a tricky business. First there is the inherent irony of getting people to sit on their butts in front of a screen in order to show them the vast and beautiful world outside said screen. On top of that, every editorial choice not only says something, but says a million different things, some of which the creators may not even consciously intend. Is nature a place for solemn education and reflection? For adventure and danger? For renewal or just plain fun? Is the nature of nature a raw struggle for resources, or an elegant interlocking community in which every member plays a role? Are humans a part of nature or a force (sometimes benevolent, more often destructive) that acts upon it? The answer, of course, is all of the above. It depends on perspective and context. 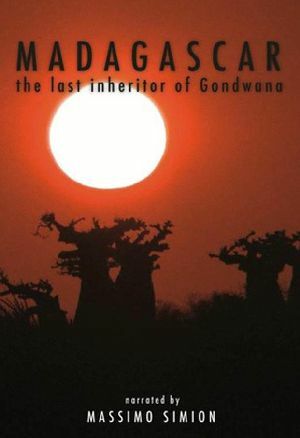 Madagascar: The Last Inheritor of Gondwana tries to walk the “all of the above” line, which is sometimes satisfying, sometimes disconcerting, and sometimes outright frustrating. Prime example: The voice-over closes with a plea to protect the remarkable microcontinent from the interference of humankind, but narrator Massimo Simion has a near Steve Irwin-esque enthusiasm for interacting with his subjects – climbing baobabs, fondling chameleons, feeding lemurs, and at one point actually wrestling a small crocodile. He exudes a sincere admiration and a desire for closeness more than a sense of showboating, but it’s still uncomfortable to watch him get so close to a Red-tailed Tropicbird nest that both mother and chick are panting in distress — the more so when he points out their agitation and suggests that his main concern is whether the adult bird is going to attack him. You want to grab him and drag him back, and oddly that is a symptom of the film’s main strength as well as its weakness — Simion comes off, not as an authority, but as a buddy you’ve chosen to take this trip with, a guy who is eager to share all the neat things he’s learned and free of doubt that you’ll be as enthralled as he is. He needs a caution sometimes but seems inherently good-hearted and in love with learning. One suspects a bit more thoughtfulness and time would set him right. The stuff he’s sharing is intriguing, though in most cases fairly basic (this may be exaggerated by the lost-in-translation issue — Simion narrates in Italian, and while the English voiceover is smooth and competent its vocabulary is fairly basic and the rhythm is naturally somewhat off.) His scope of interest is expansive, touching on geology ancient and current, a tiny smattering of human culture, environments from coral reefs to caves, and species that include plants, insects, and geckos as well as the more charismatic crocodiles and lemurs. As a result, the flow of the sections is a bit jumbled — now we focus on a particular species, now on a geolical formation and the associated habitat, and back and forth. The big events that many nature documentaries rely on for their dramatic arc — predation and reproduction — are conspicuous in their relative absence, which is refreshing, but they have not been adequately replaced with another organizing structure. Finally, and of particular note to this audience, birds do not feature largely in the piece. Besides the Red-tailed Tropicbirds, we get a look at the nesting habits of some small weaverbirds, and that is it. Herpetologists, on the other hand, will find a lot to love. Perhaps the best audience of all would be curious non-experts planning a trip to Madagascar, and lacking an overly enthusiastic buddy of their own. I don’t (or didn’t) have much of a problem with Steve Irwin but his style has been copied too much. It lends itself to a very lazy way of doing nature documentaries that emphasises the narrator and his goals, not the animal, and gives a very skewed view of the life of the animals it looks at. Give me David any time.